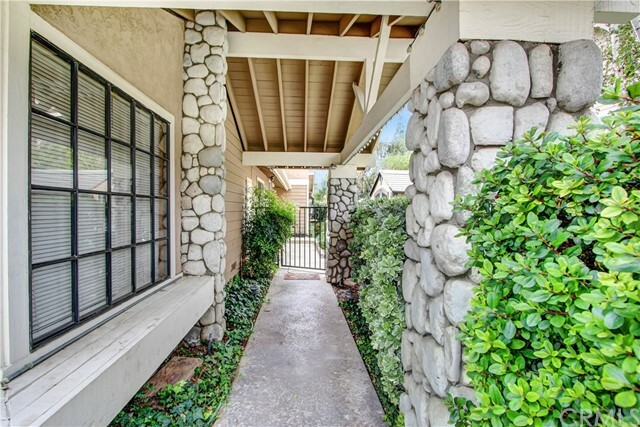 Welcome to The Village, a highly desirable community in the heart of the beautiful city of San Dimas. 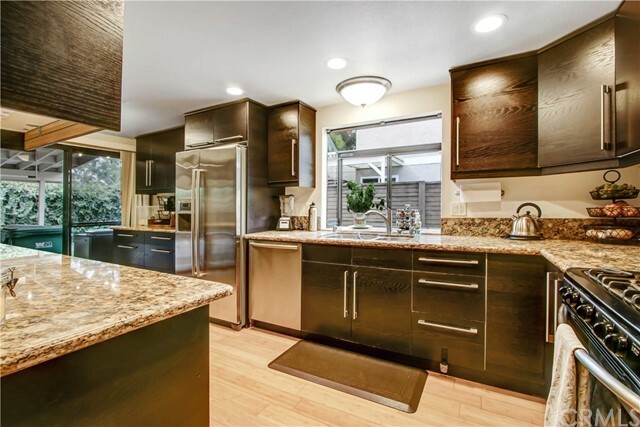 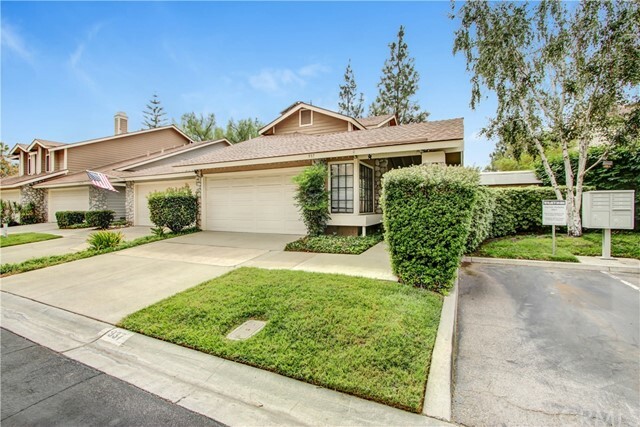 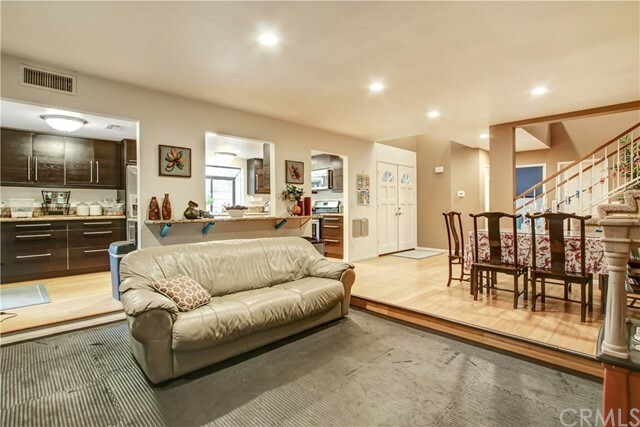 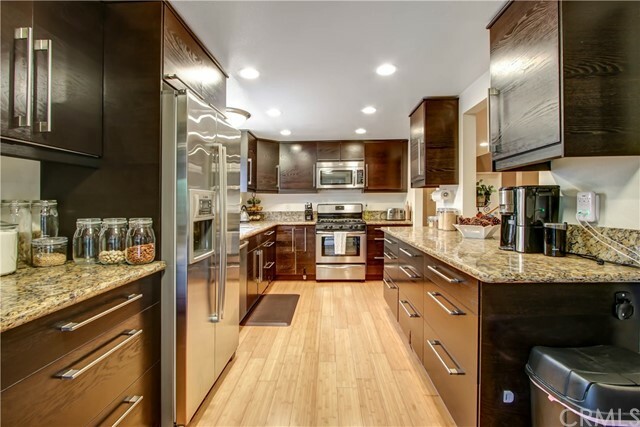 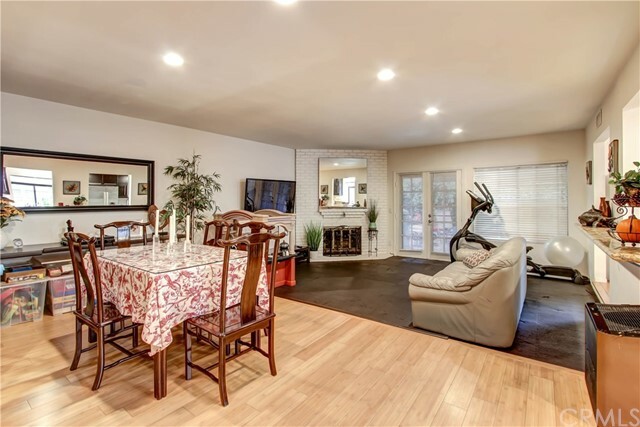 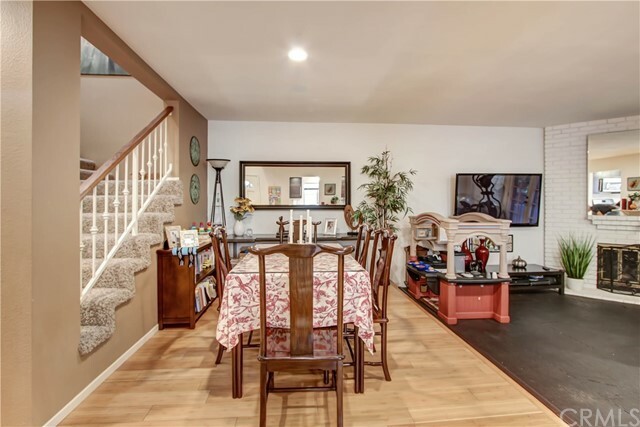 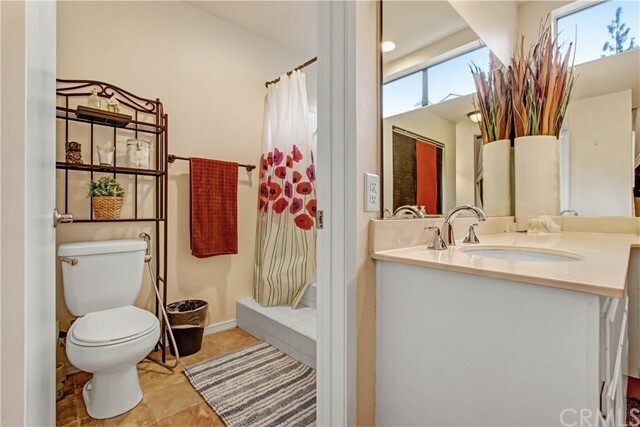 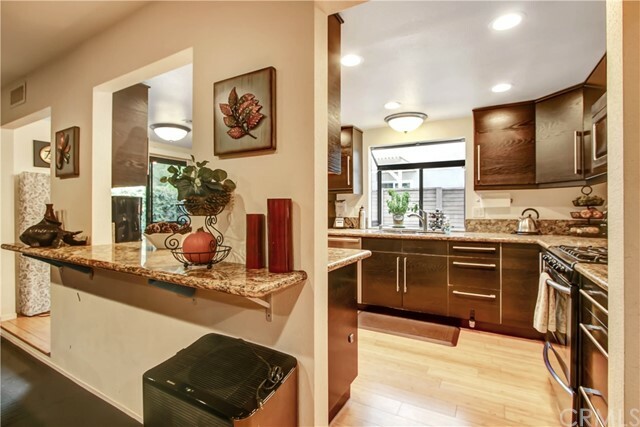 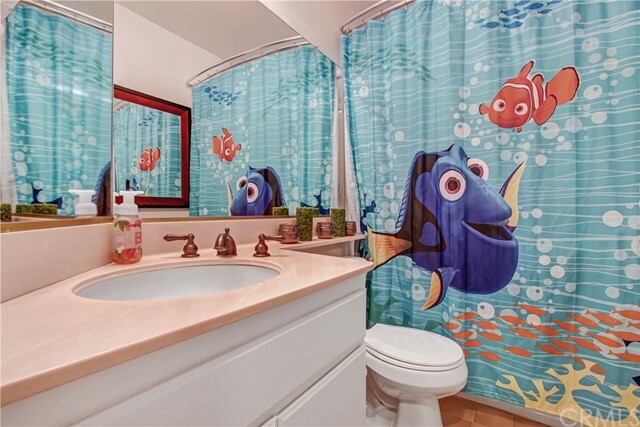 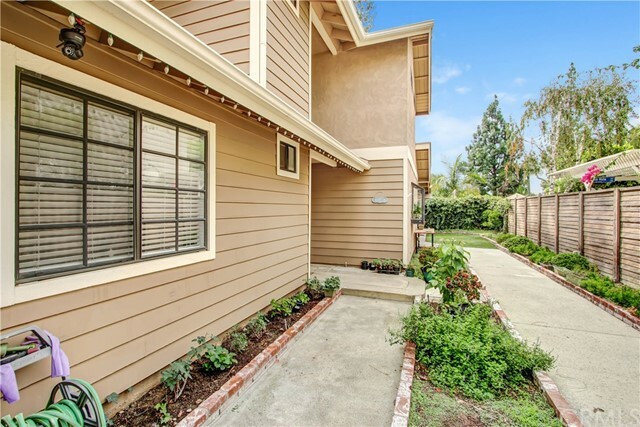 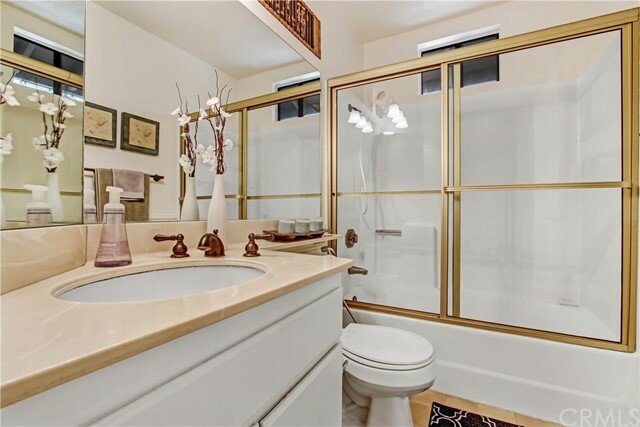 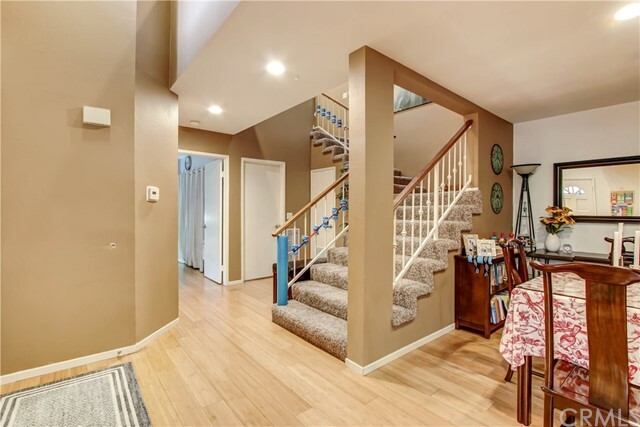 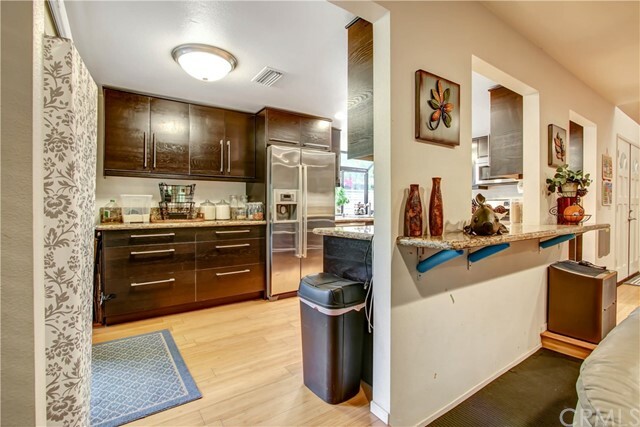 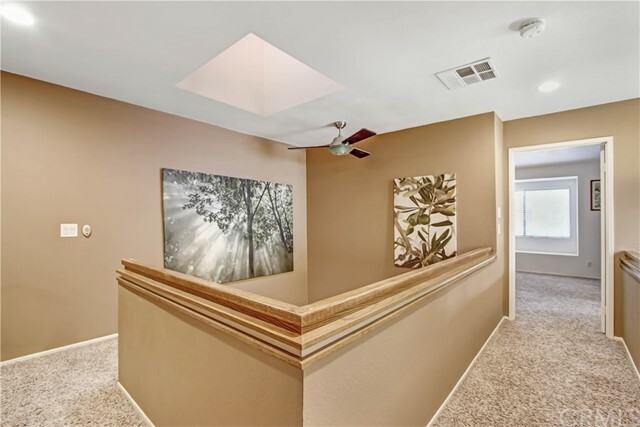 Located in a quiet interior location this beautiful home boasts bamboo flooring throughout the lower level, remodeled kitchen with upgraded cabinets and granite counter tops. 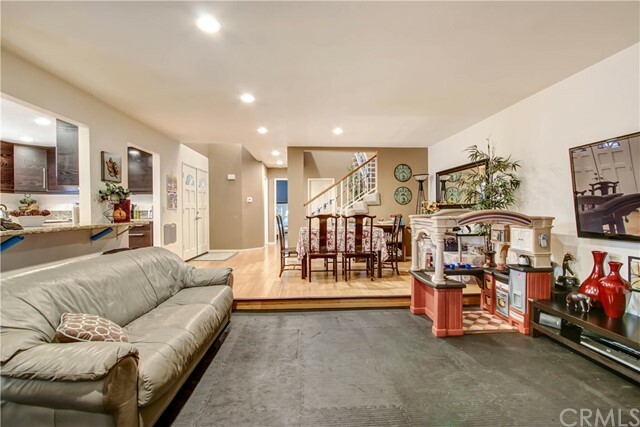 Open floor plan with fireplace in living room. 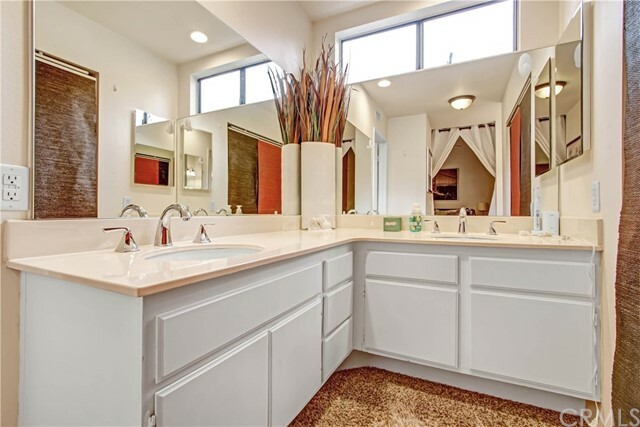 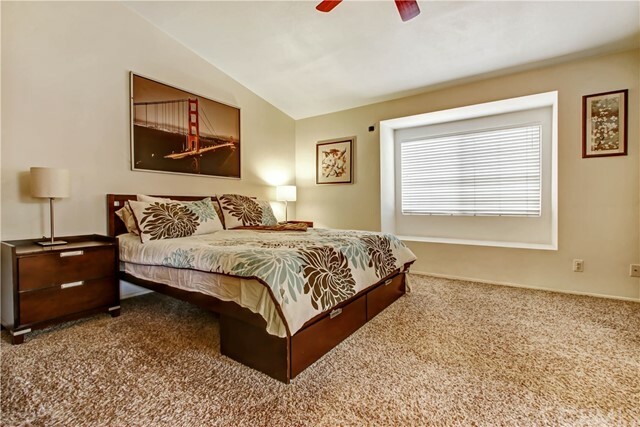 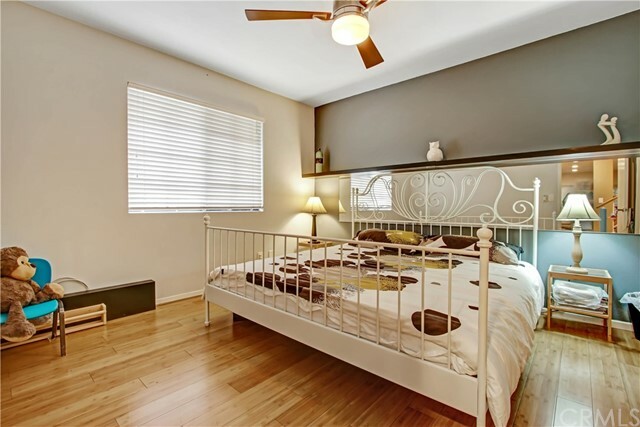 Large master bedroom with 2 closets & dual sinks in spacious master bathroom. 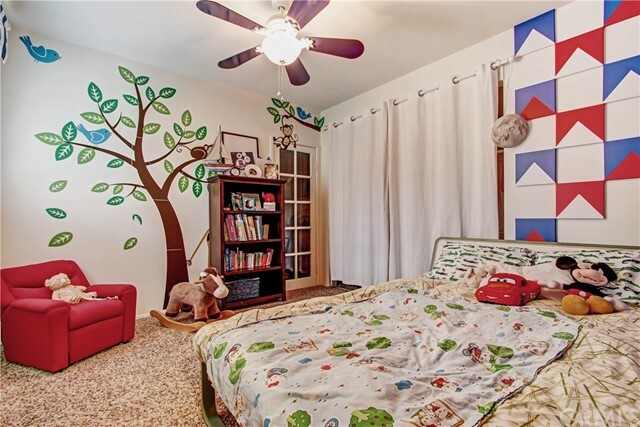 Large bonus area off the second bedroom, perfect for a playroom, large closet, or extra storage area. 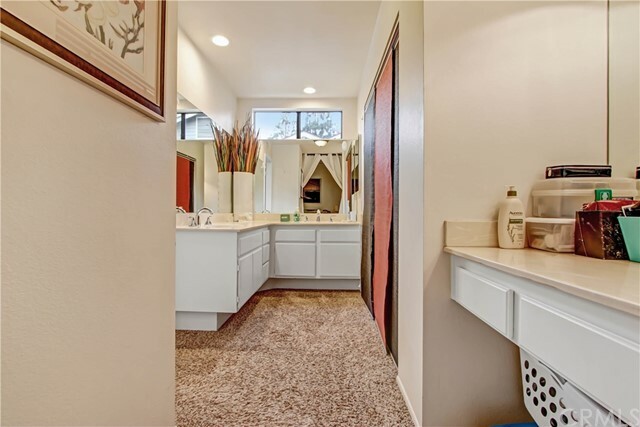 Full bedroom and bathroom downstairs. 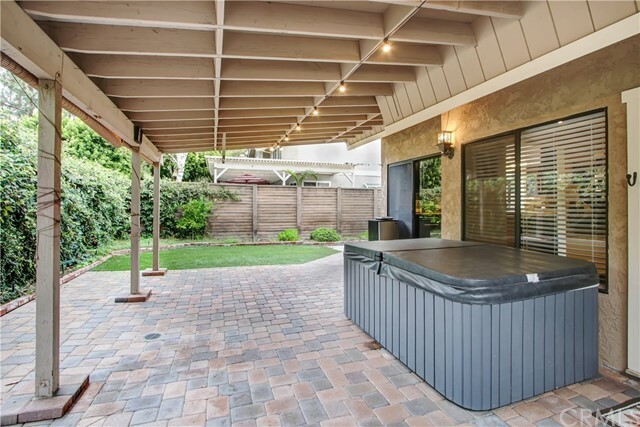 Generous sized connected rear and side yard with large patio cover, perfect for entertaining. 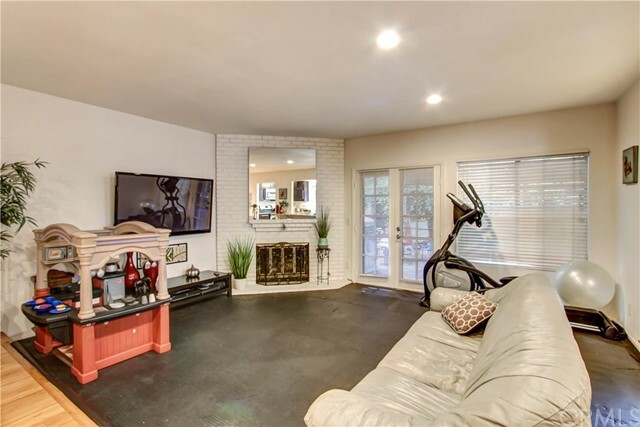 No neighbors behind. 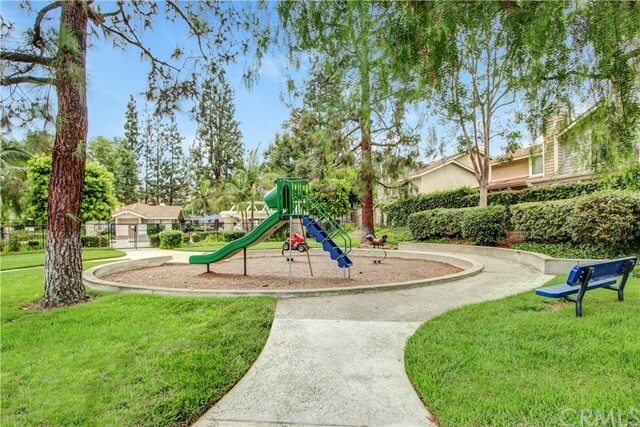 The community offers a clubhouse, swimming pool, spa, play ground and picnic area, and is enhanced with beautifully manicured grounds and mature trees throughout.